We’re celebrating Mother’s Day this May. And to honour mothers the world over, we look towards our own celebrated mums for shining examples of success in what may be one of the most challenging, but definitely the most important and rewarding, jobs in the world. As such, we chat with socialite mothers and their daughters about what makes their bonds so special. Moreover, the female minister for human development and culture, Puan Maharani, graces our cover this month. 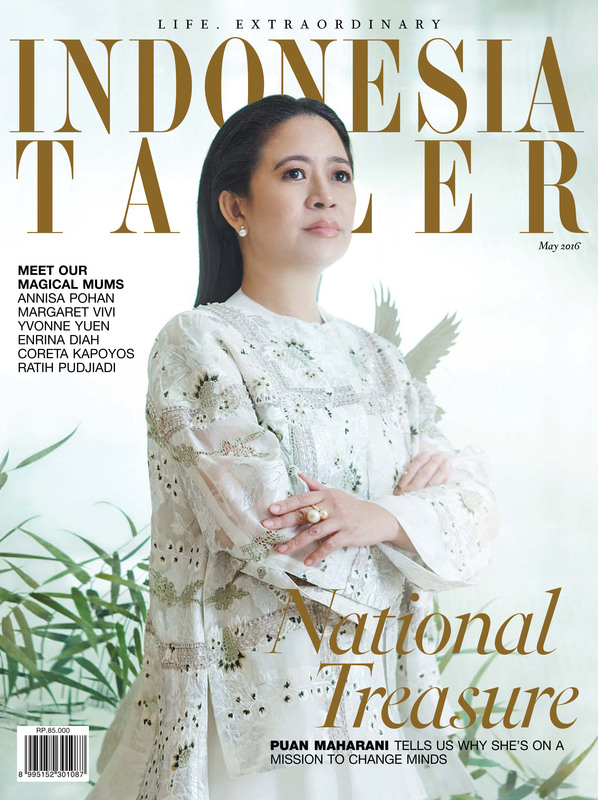 She tells us about her upbringing and how it fostered in her a strong work ethic, an idealistic yet pragmatic approach to solving problems, and the desire to see Indonesia rise to the top of the global agenda. As a mother of two, Puan is also a prime example of achieving a true work-life balance. As a side note, don’t forget to check out our Style section, as well as our usual roundups of the latest in beauty and health products, as well as our tips and tricks on how to stay young and young at heart. Speaking of which, the vibrant Putri Selaras Oesman is featured in our Faces section, bursting with stories about her passions and adventures, all of which have led her down a very different path to simply serving in the family business. Meanwhile, for automotive lovers, we look at the latest BMW: the Vision Next 100 series—a concept car that has an autonomous driving mode and a shape-shifting interior. This stunning vehicle combines sportiness with the dynamic elegance of a sedan and is sure to wow both petrol heads and techies alike. And as we come up to the glorious European spring and summer months, if your travels take you West, you should consider checking into the classic Hotel Sacher Salzburg and Hotel Sacher Wien in Austria. But for those who are staying closer to home, we suggest you treat your taste buds to a trip to Pesto Autentico for classic Italian cuisine served with a modern twist. Better still, take your mum! Happy Mother’s Day!